And so begins Franz Hessel’s The Suspect, the first of two essays that make up In Berlin, a flâneur’s view of the city by day and by night in the 1920s, translated by Amanda DeMarco and about to be published this October as part of a new series of small-but-perfectly-formed books from Readux, based here in Berlin. Franz Hessel was born in 1880 and grew up in Berlin, before moving in his twenties to Munich and Paris. Into the 1920s and 1930s he worked back in his home city as an editor, whilst writing widely praised novels and essays, as well as translations of Proust, Casanova, Stendhal and Balzac. In 1938 he fled to France, where he would end up in an internment camp, passing away shortly after his release in 1941. 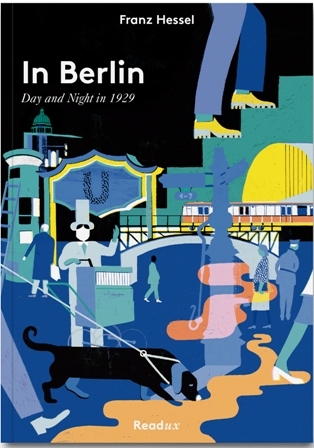 Over the thirty pages of In Berlin Hessel takes us through the Berlin of the 1920s, from the children playing ball and the street merchants offering up their wares, to courtyard musicians and coffee shop loafers, all observed with a keen eye and poetic prose. He takes us to enormous thousand-seater ‘Grand Cafes’ and the dance halls at carnival time, before introducing us to his bohemian friends and their quest for amusement. The essays may be short, but they are full of life, reminding us yet again why the contrasts of Weimer-era Berlin continue to fascinate almost a century on. And you cannot help, having read Hessel’s words, but walk through your own city with slightly more awareness of what is around you, taking more time to observe the Berlin of now in comparison with the Berlin of then, and you wonder what Hessel himself would concentrate his eye on, and the scribble of his pen, should be here to walk these streets with us. Amanda DeMarco not only expertly translates In Berlin but is the brains behind Readux, a new publishing project in Berlin that is producing a series of four short works of literature – in translation and English originals – three times a year. In Berlin by Franz Hessel is part of the first series that is being released this October. You can find out more information about the other books in the series – all of which have fantastic cover illustrations by André Gottschalk – on the Readux website. This entry was posted in Books on October 10, 2013 by Paul Scraton. 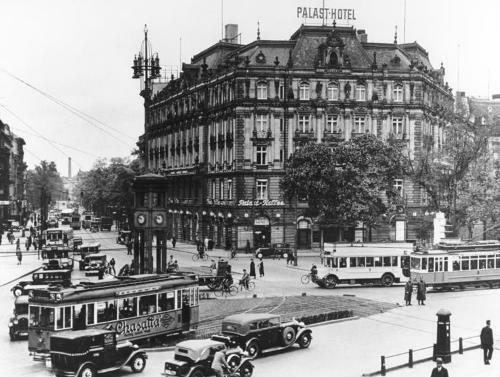 A touch of Hemmingway in style methinks – notwithstanding her hated Berlin! I am shamed to say I’ve not read Franz Hessel and will rectify the situation forthwith.